The authors of Post Industrial Journalsim: Adapting to the Present, introduce this report with the assertion that “future of the news industry” is actually the present, and there really is no such thing as a cohesive news industry anymore. 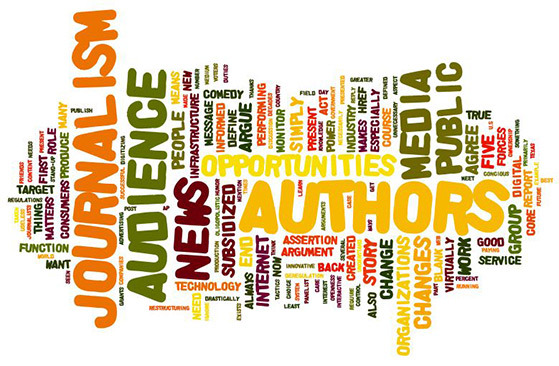 They lay out five core beliefs about journalism and changes that need to occur in this field for it to be successful. The first of these arguments is that journalism matters. Of course journalism matters. The first thing journalism students learn is the importance of an informed citizenry to the function of democracy. As the authors point out, journalism exists to monitor those in power. It helps consumers and voters make informed decisions. At least, that’s how it should work. The authors argue that, in order for journalism to get back to performing this function, the role of journalists needs to change. I agree with this assessment, but I hesitate to say that will fix the problem of the media not performing its democratic duties. The authors fail to mention the role of so-called deregulation. The gradual change in media ownership regulations over the past several decades has created an oligopolistic system in which five companies control virtually all U.S. media. While the openness of Web technology has created opportunities to subvert that power structure, I don’t necessarily think we can simply change reporting tactics and ignore these policy issues. The authors’ assertion that good journalism has always been subsidized is 100 percent true. To that end, bad journalism has always been subsidized too. In addition to discounts on postage, government grants and private donations, journalism has been subsidized primarily by advertising wince the 1800s. Of course, this form of subsidy is drying up, according to the authors, thanks to the Internet. Publishers have traditionally provided the service of bundling any and all content audiences could want and reporducing and distributing it. The Internet makes those services unnecessary, the authors say. I especially agree with their argument that the Internet makes running the same wire service story in multiple publications across the country useless. I can’t say how many times I’ve searched for a story online and found five or 10 reproductions of the same AP story. In short, it’s cheaper and easier to produce news, which means more competition. These changes, the authors argue, require a complete restructuring of every organizational aspect of producing news. With this I wholeheartedly agree. We have already seen that simply digitizing existing news products does not work because, at the end of the day, the infrastructure is still the same. A completely new approach is needed. This brings us to the authors’ fifth and final core argument: “there are many opportunities for doing good work in new ways.” This is absolutely true. A number of organizations have taken advantage of the opportunities presented by digital media and Web/Web 2.0 technology, a local example being the Texas Tribune. These technologies especially present opportunities for small organizations. Some of the best journalism surfacing now is very inexpensive to produce. Organizations can now focus on paying for talent and innovative thinking rather than infrastructure and production. That means opportunities are virtually infinite. To meet these challenges, it’s important for media organizations to understand their constituents–in this case, the public and the audience. The authors define the public as “The public is that group of consumers or citizens who care about the forces that shape their lives and want someone to monitor and report on those forces so that they can act on that knowledge.” In other words, the public is the group in whose interest news media should act. The authors’ discussion of the word audience reminded me of something a panelist at SXSW Interactive said. The panel focused on stand-up comedy, and comedian W. Kamau Bell said comedians need to remember that in a comedy club, their audience is the people in the room, people who appreciate their brand of humor and made a concious choice to be there. On Twitter, the audience is the entire world. The medium drastically changes how audience can be defined. The authors also argue that digital media also changes how the audience interacts with the news. Audiences are no longer simply receiving the message; they reply back, share the message with friends and can even publish it out to thousands of others. To that end, I would define the audience as a group of people that are engaged in communication with the publisher. Still part of the public, the audience should have its interests represented by the news, but the level of engagement is greater for the audience than the public at large. Welcome to the class. We'll be using this blog for class discussion. You can see more about the Online Media Design and Advanced Online Media classes. Several in the Advanced class are also in the SXTXState project. Check out their work on the site.